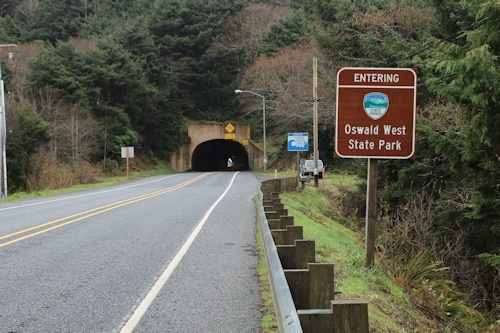 Hwy 101 mile marker 39. 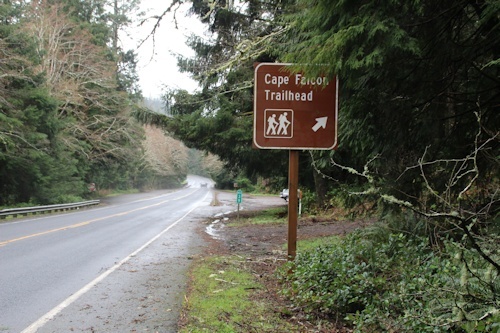 Cape Falcon Beach is a hiking trail and beach, just south of the Oswald West Start Park tunnel. A short hike through old-growth forest is necessary in order to reach the beach. This beach is bound on both sides by tall cliffs. 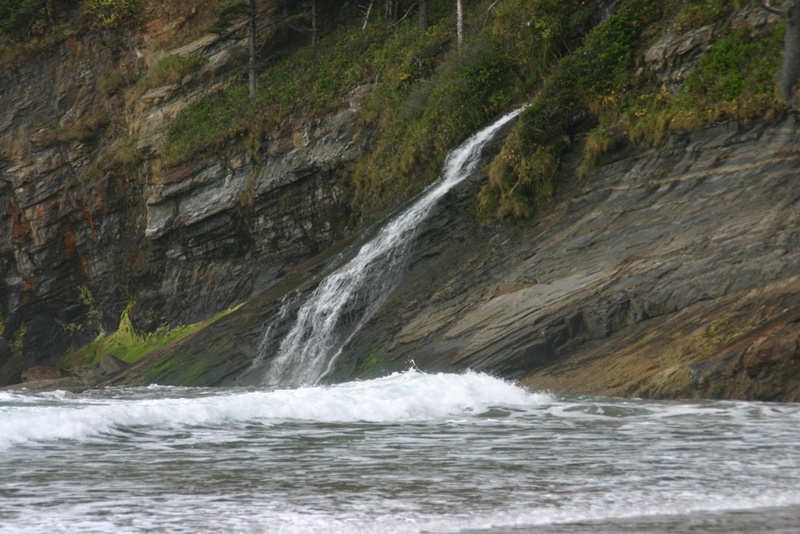 The water channeling between these cliffs produces good surf. You will find surfers quite commonly on this beach.